The all-new Lexus UX challenges everything that went before. Its bold design expresses unmistakable strength. From the daring front end with its dramatic Lexus signature grille, to the sporty silhouette and bold rear design, the all-new Lexus UX takes a brave new approach to crossover thinking. And the interior is just as exciting, with a design based on the Japanese architectural concept of ‘engawa’ where the boundaries between inside and outside are seamlessly connected. You will feel perfectly at home in a luxurious, driver-focused environment that feels open yet secure. Enjoy the commanding seating position and excellent visibility of a modern crossover. A low centre of gravity and rigid platform allow the UX to deliver precise driving dynamics that you wouldn’t expect in a SUV. This is further enhanced by unique aerodynamic stabilisers, subtly incorporated into the design of wheel arches and rear lights, that offer stability at speed and in cross winds. Our Takumi Craftsmen have created a luxurious and unique environment inside the UX using materials of the highest quality. 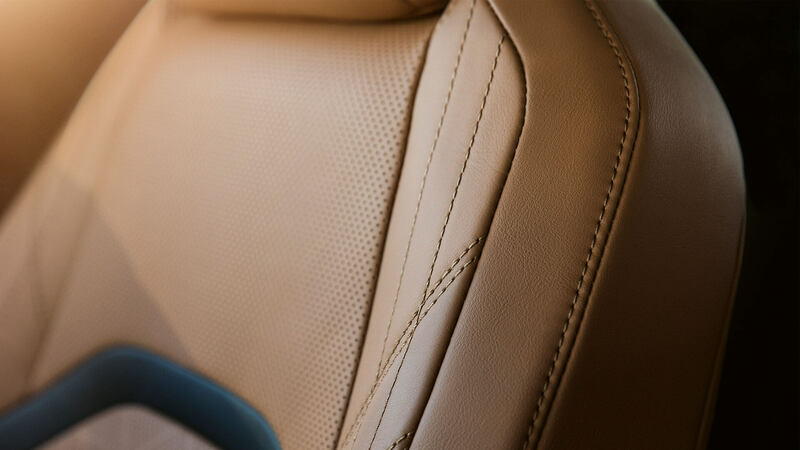 The smooth leather seats use a Calculated Art perforation pattern and the art of traditional Japanese Sashiko stitching. The UX features a state-of-the-art new generation Self-Charging Hybrid that combines class-leading fuel efficiency with extremely smooth dynamic performance. The Panoramic View Monitor combines images from four video cameras to give an amazing 360° birds-eye view of the car and its surroundings through an unprecedented 10.3” screen. There's no need to worry about troublesome cables with the availability of a Qi-compatible wireless charger, allowing you to charge a device such as a smartphone simply by placing it on the charger. 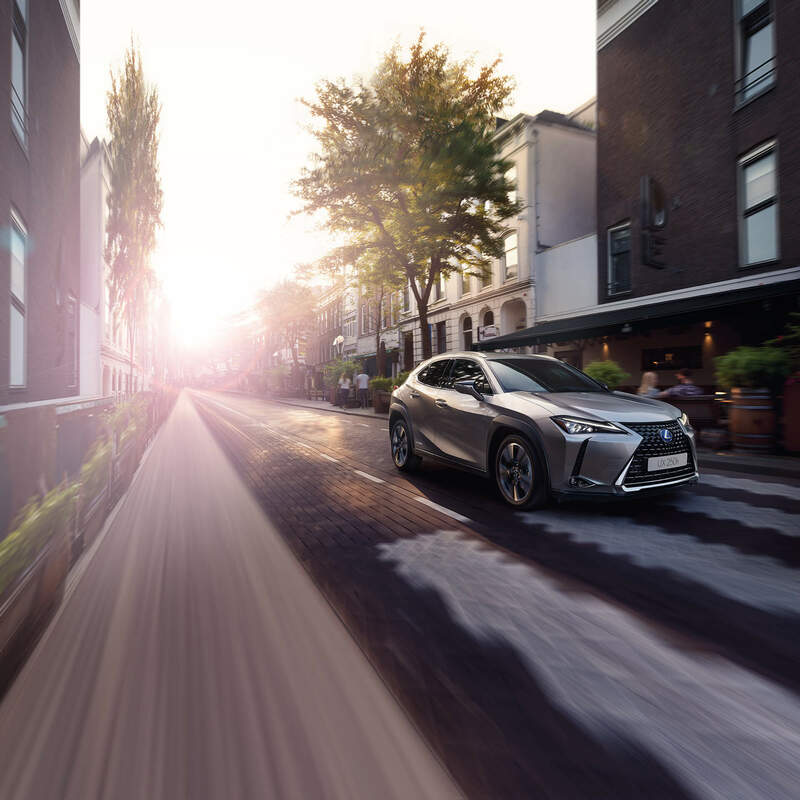 With the new Lexus Safety System +, the UX benefits from an outstandingly comprehensive preventative package, including Pre-Collision System with Pedestrian Detection, Lane Departure Alert with Lane Tracing Assist, Automatic High Beam, Dynamic Radar Cruise Control and Road Sign Assist. For a more dynamic driving experience, discover the UX F SPORT. Perforated leather, paddle shifters and steering wheel create an exciting sports ambience whilst the signature grille and front bumper styling sets the UX F SPORT models apart. Begin tailoring the UX to your requirements, experiment with colour preferences, or continue onwards to explore features and the gallery. Find out why the UX is the perfect vehicle for urban exploration from sunrise to sunrise with our interactive clock experience. Slide into the driver’s seat of the new UX and you will quickly find the perfect driving position. 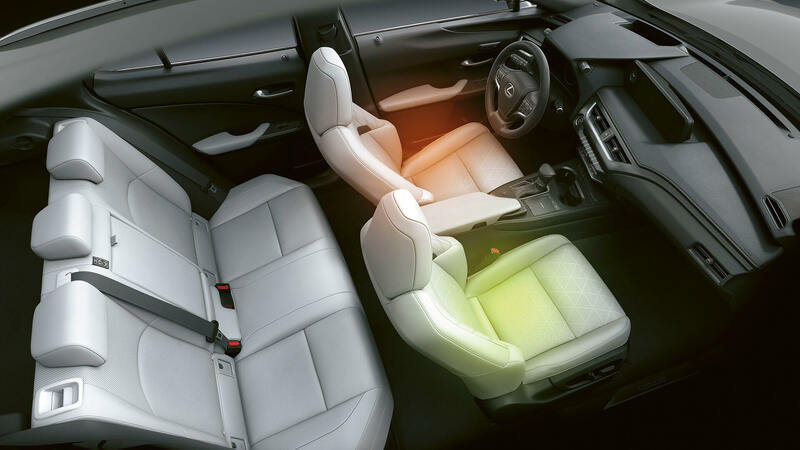 The seat is extremely inviting, giving you an ideal view of the road ahead. With the hand-stitched leather steering wheel in your hands, gear shifts are sporty thanks to paddle shift controls mounted on the steering column. Accelerator response is instant using ‘shift-by-wire’ technology. 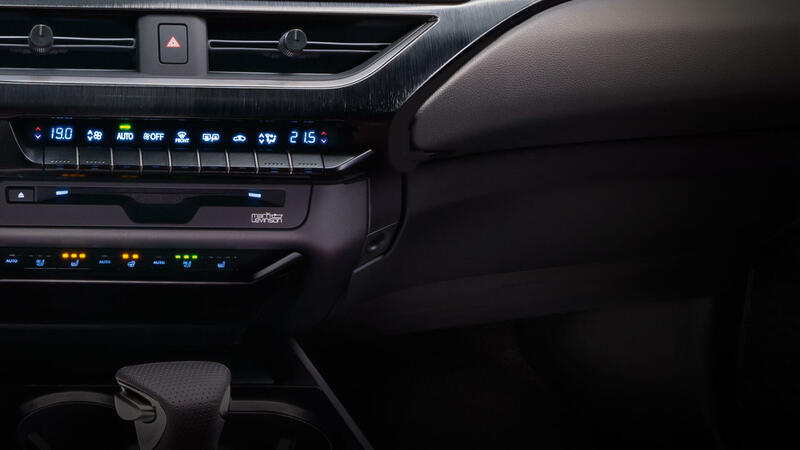 The crossover’s ergonomic dashboard has been designed to keep all distractions to a minimum and features innovative ideas like a wireless phone charger and wireless air vent controls. Enjoy a better drive with an ergonomic driving position that reduces fatigue and provides a feeling of oneness with the vehicle. Up to eight seat adjustments allow you to the choose the driving position that suits you best. The large colour Heads Up Display is clearly visible even in bright sunlight, providing the information you need at a glance. 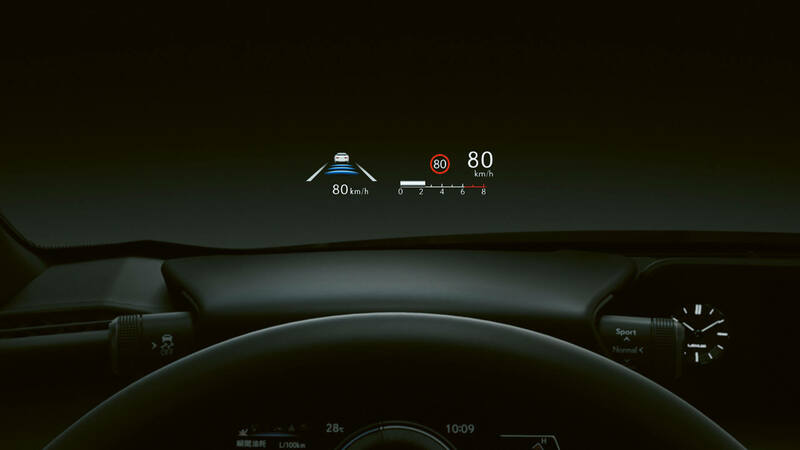 Vehicle data is projected in colour directly onto the windscreen. 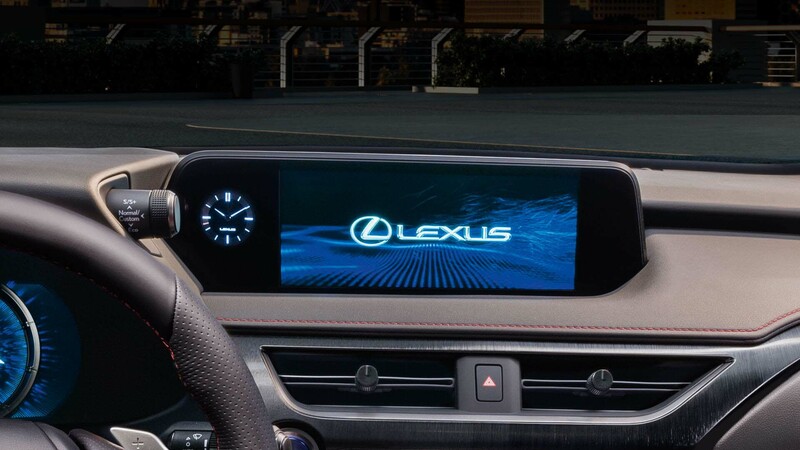 Offering vivid 3D graphics and many mapping options, the latest Lexus Premium Navigation comes with a leading 10.3-inch wide display or 7-inch LED display on standard models. Select your own style. The Drive Mode Select switch beside the meter hood bezel can be operated without making a major deviation from your line of sight or changing your driving position. 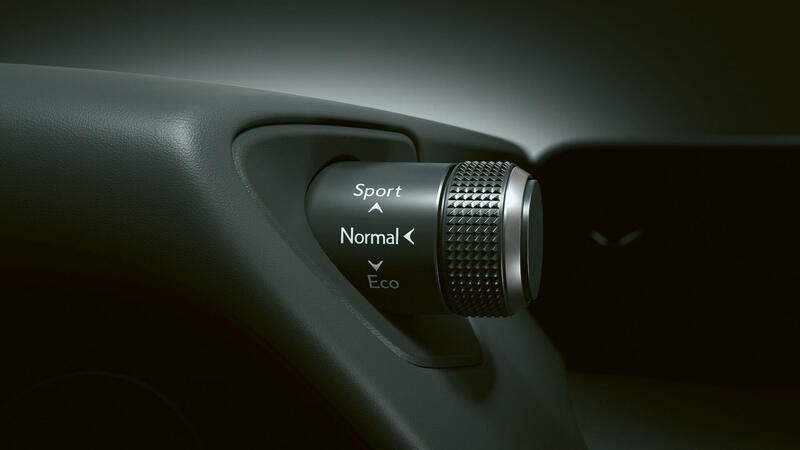 Eco, Normal and Sport modes are standard, whilst the UX F SPORT models come with five choices: Eco, Normal, Custom, Sport S and Sport S+. S-Flow Climate Control intelligently manages the interior climate in your UX according to ambient conditions, ensuring excellent comfort and fuel economy. It can, for example, detect if seats are occupied, and regulate the climate accordingly. The system also discharges mildly acidic nanoe® ions from the central air conditioner register on the driver’s side of the cabin, helping to fill the cabin with fresh air. This mildly acidic atmosphere gently moisturises your skin and hair. The luxurious 3-spoke steering wheel was crafted and perfected by recording the pressure on the palms of the ‘Takumi’ master driver during numerous tests. The entire wheel is wrapped in genuine leather and is available with heating for colder mornings. Integrated switches control many internal functions. 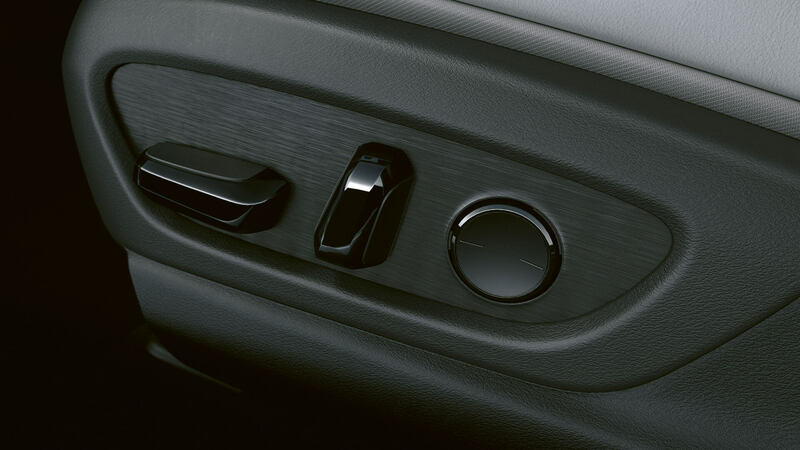 Each of the UX’s air vents uses a single-knob control for airflow direction and volume. This single control means larger air passages, improving airflow while reducing noise. Luxury-grade models feature wirelessly powered illuminated vent controls. 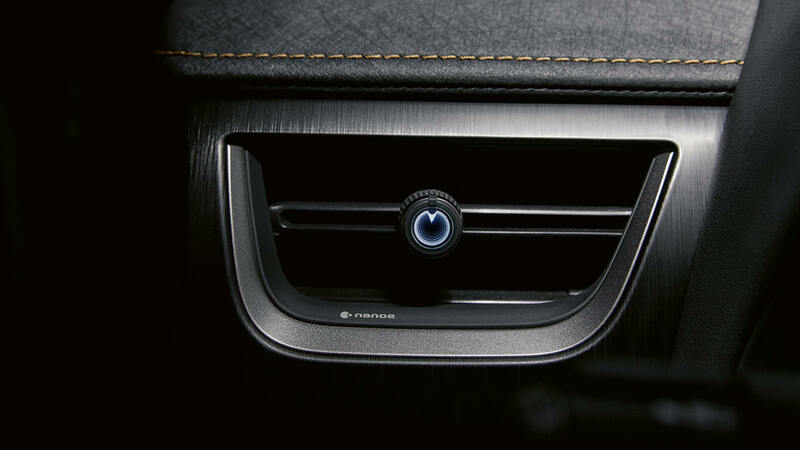 Each of the UX’s air vents uses a single-knob control for airflow direction and volume. A central display screen is controlled by Touch Pad or voice commands. The Touch Pad interface offers the intuitive feel of a smartphone, using operations such as double tapping and flicking. 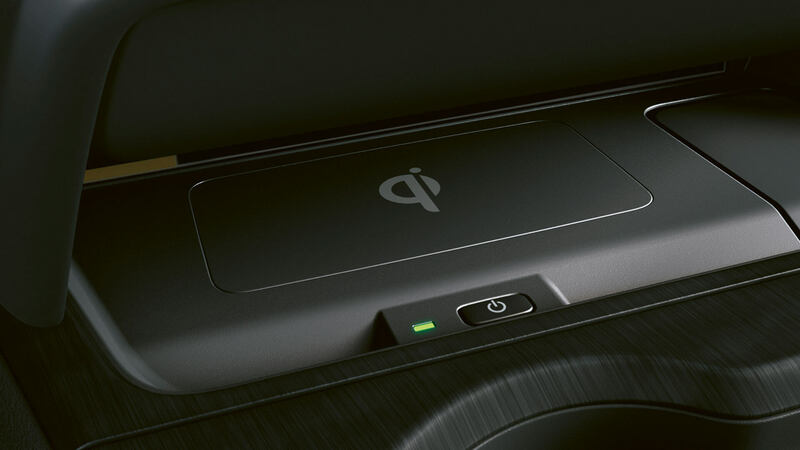 Don’t worry about troublesome cables with the availability of a Qi-compatible wireless charger at the bottom of the centre console. This allows you to power up a device such as a smartphone simply by placing it on the charger. The ornamentation of the instrument panel is inspired by the Japanese paper grain, known as washi, familiar in traditional Japanese homes and evoking a calm and warm feeling. 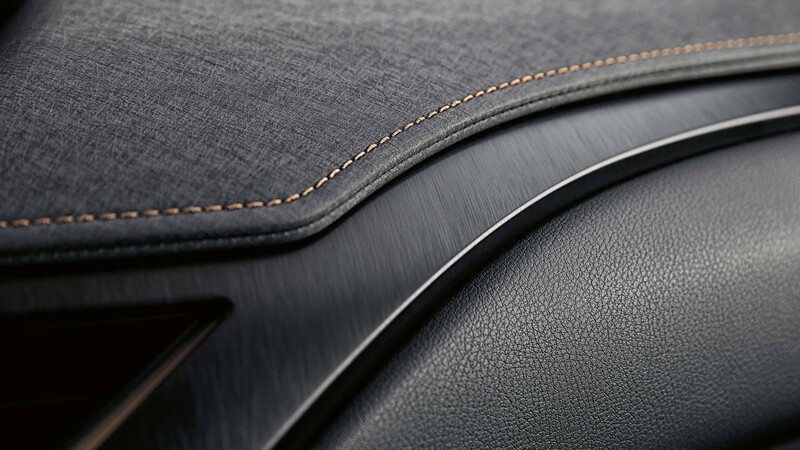 Alternatively, a leather-like grain finish is also available for the instrument panel. Maintain your ideal temperature. Seat heaters are available for the driver and front passenger for cold days. When it is warmer, cold air is taken directly from the air conditioner to cool you down quickly. The smooth leather upholstery available for the UX is inspired by ‘sashiko’, a traditional Japanese quilting technique used in the making of judo and kendo martial arts uniforms. The quilted leather is decorated with perforation patterns that form mathematical curves and gradations to enhance the appearance of the seats. 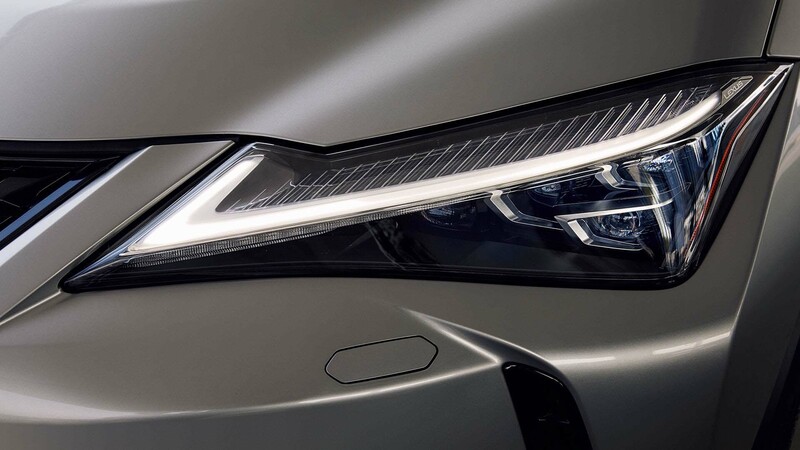 Compact triple-projector LED units and L-shaped Daytime Running Lights proudly display a Lexus signature arrowhead. These multi-weather lights maintain a good field of view even in foggy driving conditions. 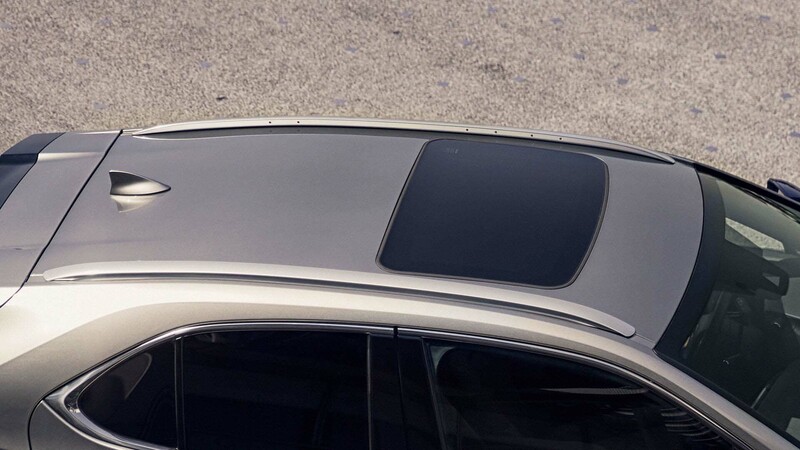 Enjoy high definition adventures with an electric, tilt and slide, glass sunroof that adds a feeling of freedom, spaciousness and light to the UX cabin. Roof rails made from solid aluminium create an appealing shape that runs smoothly and seamlessly along the UX roofline. The UX wheel arch mouldings have flat sides and a stepped top section, which generates an airflow to reduce roll and keep the vehicle stable when the car is cornering, changing lanes or being driven in a straight line. The UX 250h is powered by our latest Self-Charging Hybrid that features a highly efficient new 2.0-litre four-cylinder petrol engine. Available with front-wheel drive or E-Four All-Wheel-Drive, the system has a compact and lightweight new transaxle and Power Control Unit, designed to minimise power losses through heat and friction. A new nickel metal-hydride battery is used with a revised construction and more compact cooling system. Captivating rear combination lamps enhance aerodynamic performance. 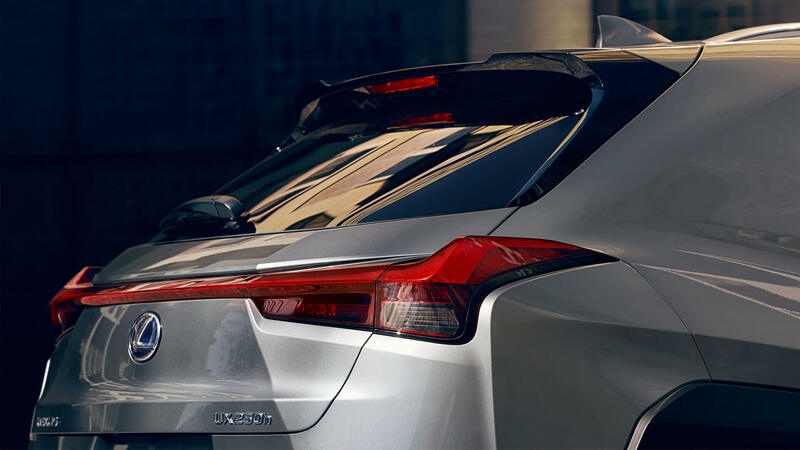 With the lamps acting as a rear spoiler, you will enjoy stability in cross winds and impress with an iconic single rear light that stretches across the full width of the Lexus UX. Load and unload with ease. 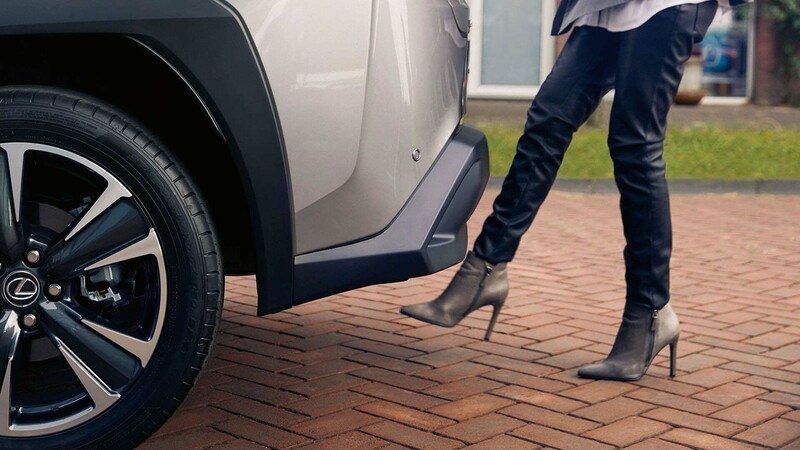 The UX is available with a hands-free power tailgate that can be opened and closed by moving your foot in front of a sensor underneath the rear bumper while carrying the smart key. MacPherson strut front suspension and a double wishbone arrangement at the rear have been engineered to promote ride comfort and sharp response. F SPORT models feature specially tuned suspension, with adjustment to springs and stabiliser bars, and the use of rear performance dampers. 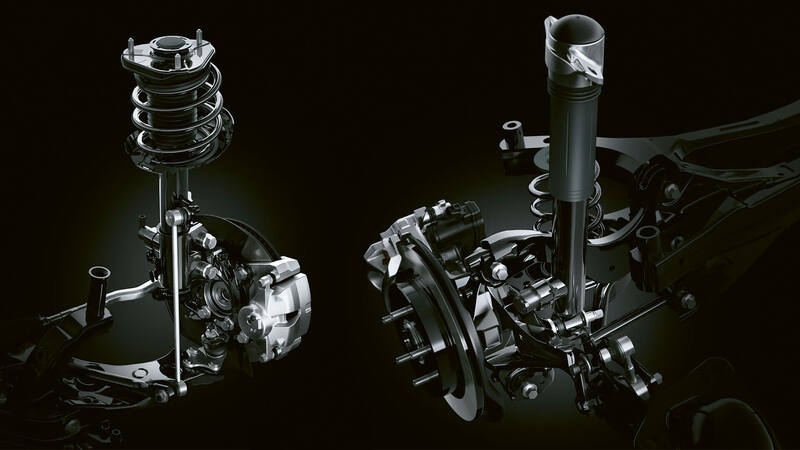 The new high-response Adaptive Variable Suspension incorporates real-time damping control. Attitude on the road is monitored and suspension responsiveness adapted for smooth and comfortable cruising, spirited driving inputs, uneven road surfaces, or a mix thereof. 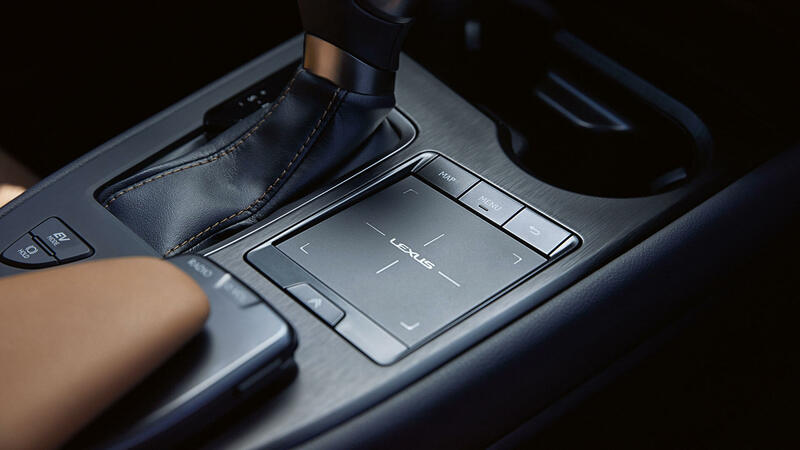 Stay connected to your vehicle with the Lexus Link app and discover a host of always-on features giving you peace of mind and saving you time and money. Explore a car with a unique presence on the road that is taking crossover performance to a higher level. 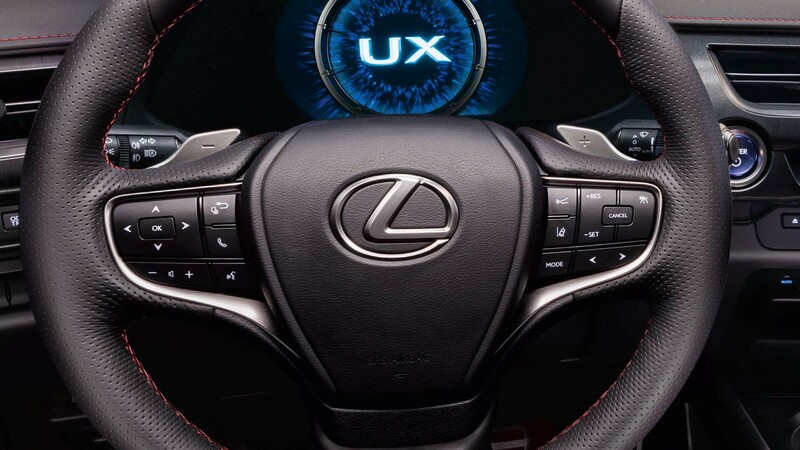 Discover the UX from all angles​. 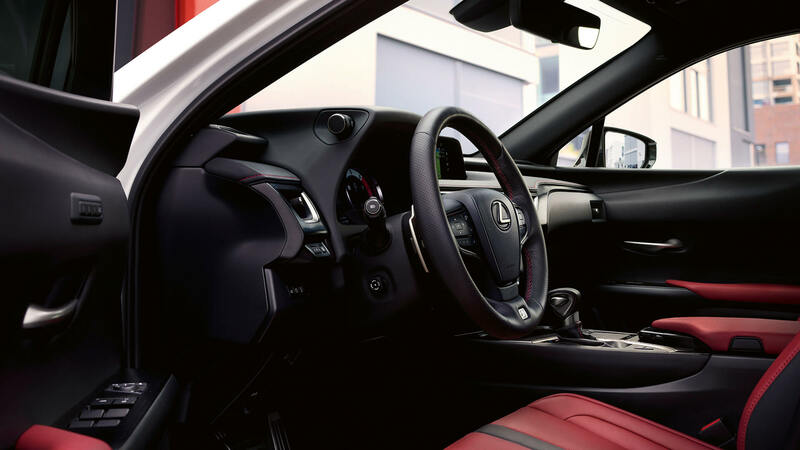 Admire the full-size UX interior and exterior from every angle in high resolution and find out why the new Lexus UX is perfectly adapted to meet the demands of a vibrant urban lifestyle. All information is correct at time of going live. All Retail^ prices quoted excludes delivery and related charges. For more information please contact your Lexus Retailer.